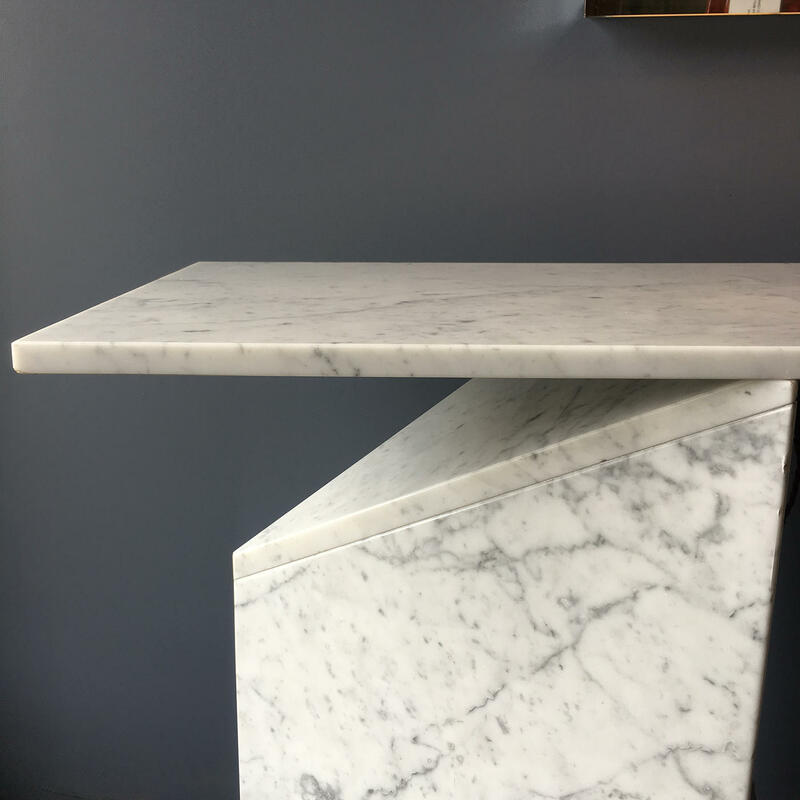 Handsome Italian Carrara Marble Console. 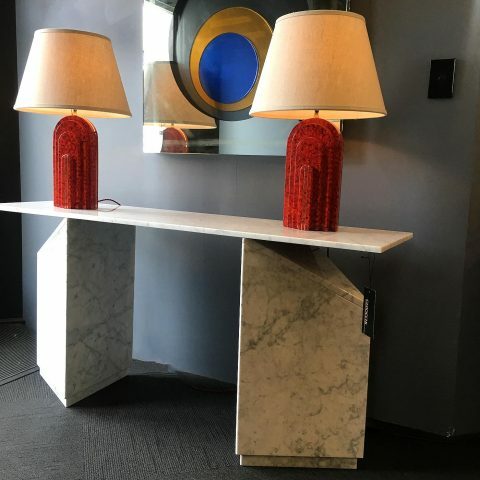 In three pieces, the console was made in the 1980s and is of simple modern design. 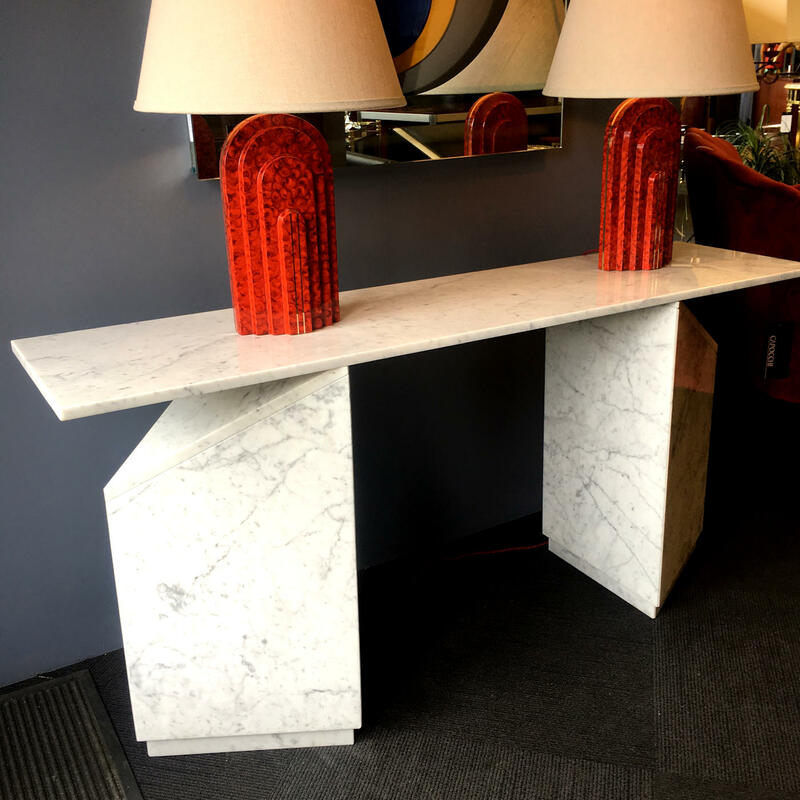 An unobtrusive yet classic piece for your entrance way.